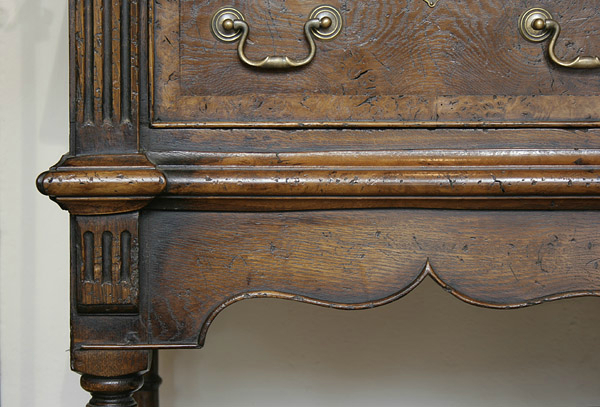 Montgomeryshire oak potboard dresser detail, showing the pippy oak cross banding, solid cockbeading to the drawers and shaped apron, fluted columns and stepped waist moulding. 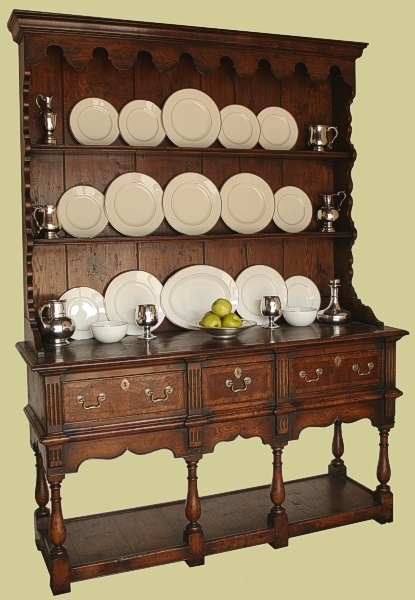 Just a few of the many attractive period features that make this piece so appealing. A great example of British hand-made craftsmanship. Shown here in our Chalvington bespoke furniture range ' Warm Chestnut ' colour, with medium ageing.